Drew this in September 2012 for a very good friend of mine. He's been there for me through thick and thin with many hugs and comforting words when things got rough, and he's a blast to roleplay with! 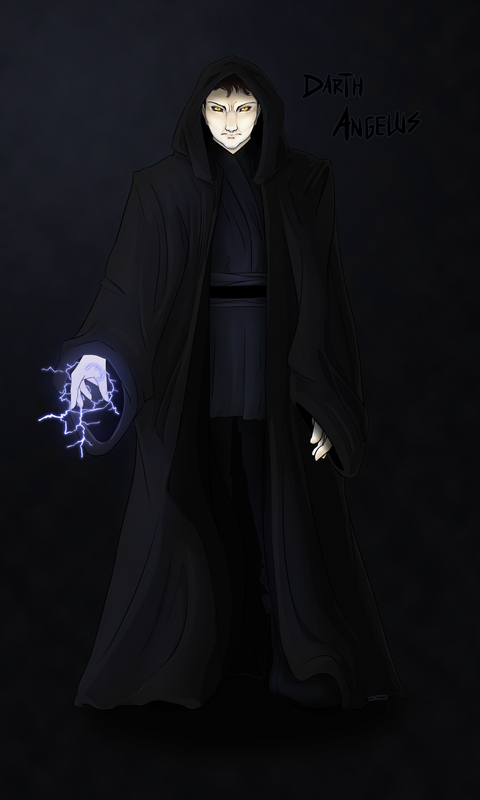 His character is a Sith Lord (and also somewhat of an evil persona) so I decided to gift him a proper picture. This was drawn at a ridiculous size/resolution and took me days. With what little knowledge I have of shading and faces, I tried my best to make his face as detailed as possible. I had a blast coloring his eyes!